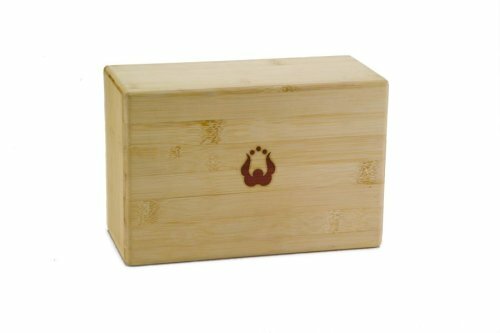 As a solution to environmentally harmful foam blocks, Natural Fitness offers our Bamboo Yoga Block. This product allows you to improve your yoga practice while achieving more environmental balance. It is made from bamboo, a sustainable natural resource, and provides strength and stability. Its natural look and feel can help provide the sense of peace and tranquility required for your yoga practice while helping protect our environment. 9" x 6" x 4"
This journey begins on a Banyan tree lined road in India. The last streaks of color from sunset are disappearing and evening is turning to night. Cool air brushes your face as you hear crickets begin the beat. It's halfway to midnight. This music is appropriate for calming your hyper active dog, soothing your aching mind and heart, yoga, intimacy, dancing through bustling city streets or ambling down a lonely road. I came across G.S.Sachdev, a master of the Indian bamboo flute, the bansuri, in San Francisco and was fortunate to study with him. I lived in India for 12 (nonconsecutive) years where I went to as many all-night concerts during the winter season of festivals as I could, and in the process saw and heard many of the greatest Indian master musicians. I also found many great musicians to play with while living there. The project "Halfway to Midnight" began in India and culminated in New York. The music is improvisation with a steady groove on some of my favorite evening raga melodies. Besides flute, you will hear musician friends on Indian slide guitar, violin, santoor, and muted reed cornet. The tracks are average over eight minutes, and here the clips are the first minute. If you go to the sallyblock.com website you can hear clips more into the middle of some of the tracks. Also there is a section called Prose & Poetry with a primer on Indian music for Western musicians, complete with scales. Every raga invokes a certain mood and time of day. I was explaining the feel of Raga Yaman in track four to friends at a recording session way out at the end of Long Island, New York. We had set up in a spacious screened-in porch with a microphone outside picking up the crickets along with the harmonica. The sun had set, the air was cooling, and we had just opened a bottle of wine. "Raga Yaman is exactly this time of day ... it's halfway to midnight." Sturdier than foam blocks, but safer for the environment than wooden ones. Who could ask for more? Bamboo is a fast-growing grass, rather than a slow-growing wood, and is therefore a more ecologically responsible material. In addition, these blocks are also very elegant - their distinct grain pattern gives each one a unique beauty. These excellent blocks weigh about 2 pounds each. Sold INDIVIDUALLY - not as a set of 2. Highly recommended! 3" x 5" x 9". PLEASE NOTE that due to the distinct appearance of each bamboo block, the actual block that you receive may differ in appearance from this image. Bamboo Yoga Block - 5.5" x 9" x 3.5"
The Natural Fitness Bamboo Yoga Blocks allow you to improve your yoga practice while achieving more environmental balance.